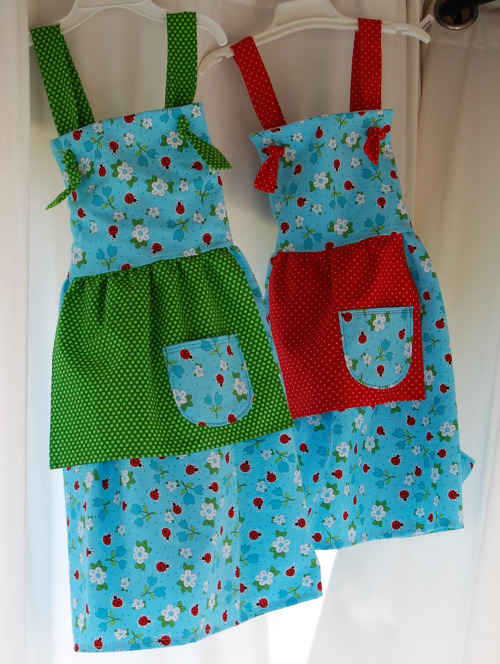 My little niece’s birthday is coming up soon and she requested another ladybug dress. i made her one for Christmas- yellow, green and pink colors. So i was on the hunt for some different colors and found this beautiful blue print. i couldn’t resist making one for her younger sister too, so they both get a new dress for the summer. This great tutorial can be found at Everyday Chaos. 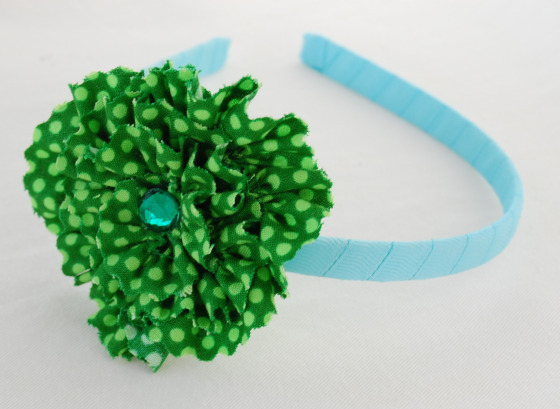 She is really into headbands, so with some left over material i made the tattered flower. i know there are millions of tutorials on these, but if you wanna know email me. Very cute!!! I love them…they will be very happy in those! I am very new at sewing and trying to make a simple dress with rounded pockets. When I fold the seam( 1 cm) in and trying to press the pockets I am not having a round shape at all but the fabric all bunched up with pointy bit along the folded line. I know I can eliminate this problem by cutting along the seam before attaching the pockets but I don’t want to do it as it is a pocket not a collar. Anyhow your blog comes up when I googled on how to make nice round pocket. Mine your pockets are round and lovely! I would be very appreciated if you could give me an instruction on how to do this. Thank you so much. I really like using cereal box type cardboard for this kind of project. Another tip is to make a large cardboard piece about 8×11 and then make lines along the long edge at 1/4in and 1/2in. I use this to hem my clothing, ironing it against the cardboard first at the smaller measurement and then folding it at the 1/2 marking and ironing. I hope this makes sense, it has been a great way for me to get straight hems. Let me know if this doesn’t make sense. Thank you so much for your help. I just posted another message on another page requesting the copy of the email with your tips and the link again(as hubby accidentally deleted the email) But here I am … please ignore my silly request and my ignorant. I got the pockets perfectly rounded and had already attached them to my dress. I am so happy, your tips are much appreciated. Thank you once again. Have a great day.